Good for muddy legs, grass stains and dried sweat. Soft enough for use on the frog and surrounding hoof areas. 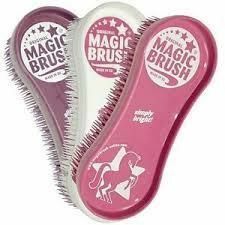 These brushes will also remove hair from rugs and numnahs. Other colours available please ask.